New York Outrigger is proud to announce Cook Islands Tourism as a Krevey Level Sponsor for the 2016 Hawaiian Airlines Liberty Challenge. Learn more about the Cook Islands at the Liberty festival on June 11 at Hudson River Park’s Pier 26. Still largely undiscovered by North Americans, this is a destination of pristine beauty and untouched seclusion. 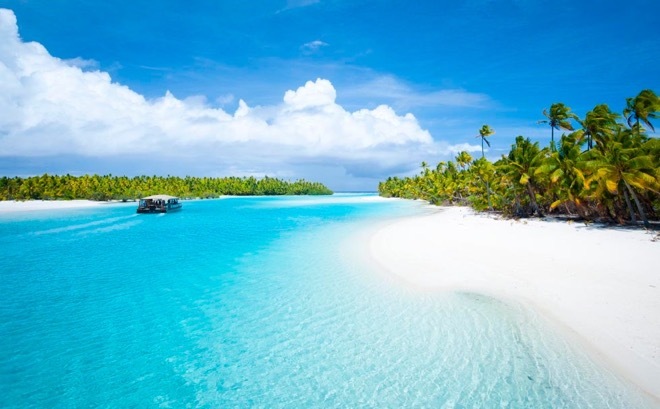 It is easy to reach the Cook Islands which is located in the center of the Polynesian triangle. It is on the same time zone as Hawaii. During the Vaka Eiva event, November 18–25, 2016, competitive paddling at the highest level is mixed with laid-back “fun in the sun”.